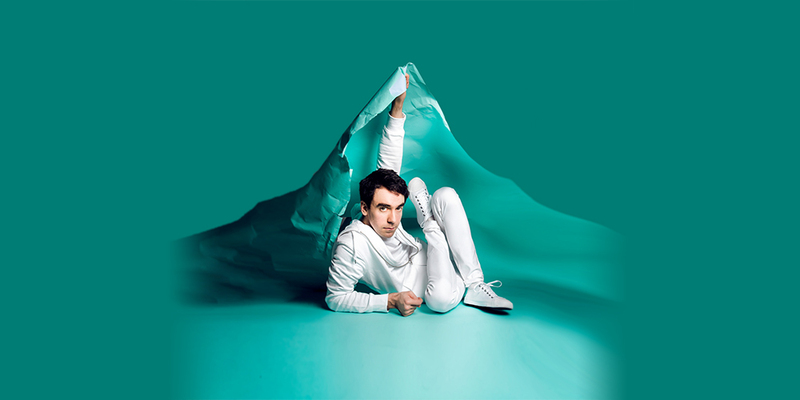 One of the UK’s most prolific joke writers, Adam Hess presents his brand new show Seahorse at Soho Theatre with 10 performances from Tuesday 15th – Saturday 26th January 2019 following a triumphant run at the Edinburgh Festival Fringe which performed to sold-out out audiences and was met with critical acclaim. Packed with sharp writing and scintillating one-liners, Seahorse sees Hess lose everything in his life in a matter of days before desperately trying to claw it back. Hess thinks his grandad has never eaten a wrap and he can’t imagine the queen with wet hair. Join the former Edinburgh Comedy Award Best Newcomer nominee for an hour of stand-up where he’ll try to make you cry with laughter at least once. Known for his incredibly high joke rate, Adam Hess has previously taken three celebrated shows to the Edinburgh Festival Fringe with Salmon earning him a Best Newcomer nomination in 2015, 2016’s Feathers enjoying a sold out run at the festival, his following show Cactus generating critical praise across the board in 2017, while the 2018 Fringe run of his latest comedy offering Seahorse was described as ‘uproariously funny’ (Fest Mag) and delivering ‘some of the fringe’s strongest punchlines’ (The Skinny). On TV and radio, Adam has appeared on Tonight at the Palladium (ITV), Count Arthur Strong (BBC One), Live from the BBC (BBC Two), The Chris Ramsey Show (Comedy Central), Don’t Make Me Laugh (BBC Radio 4), Comedy Up Late (ABC), and was a staff writer on Russell Howard’s Good News (BBC Two). Along with Lolly Adefope, Mat Ewins, Richard Gadd, John Kearns, Fin Taylor and Matt Winning, Adam is one of the creators of the cult hit Bearpit Podcast (Podcast). As well as the Edinburgh Fringe, Adam has performed at festivals around the world including Melbourne International Comedy Festival, New Zealand Comedy Festival and Kilkenny Cat Laughs Festival.